Missed the first parts of this series? Over the following weeks, we’ll be showing anyone how they can take great photos. In the first part of this series, we examined light and in the second part we took a closer look at subjects. This time time around, we’re looking at the tools we use to capture images. When people first look to buy a camera, one of the most common questions they ask is whether to go for a specific brand or model. They rarely, however, mention what they intend to do with it without being asked – and without this last bit of information it's almost impossible to give a helpful answer. Sure, with its 400MP image output capabilities and ability to be used with exquisite lenses, the Hasselblad H6D-400c MS is likely to give some of the best image quality you could hope for. But even if you're lucky enough to be able to afford it, would you actually get one? It's hardly the best choice as a general, walkaround camera, or for travelling, or sports, or underwater photography, or countless other tasks. So, instead of asking whether one camera is simply 'better' than another, it's worth thinking about your needs and the kinds of cameras that are typically designed for your chosen applications. It's easy to understand a camera's specs upon its announcement, and quite what it offers relative to other cameras, but size and portability are only something we tend appreciate once we've used it for a while. Many photographers invest in capable but bulky equipment for their regular photographic shooting, for example, but find it to be a burden when going on holiday or when travelling. As cameras have become more powerful, the equipment we deem to be acceptable to use in a specific situation has changed. Up until recently, for example, many serious photographers wouldn't have settled for a standard bridge camera when going on holiday, preferring instead to take a DSLR and a selection of lenses. Today, it's difficult to deny the appeal of cameras like the Sony RX10 IV and Panasonic TZ100 for these kinds of applications, with large 1in-type sensors, broad focal ranges and features that many DSLRs don't have, such as electronic shutters and 4K video recording. This has made photographers think about whether they actually need a camera with interchangeable lenses for such tasks, or whether the benefits of fixed-lens compact cameras now outweigh their disadvantages, given that technology has moved on so much. Sure, a certain camera may give you better image quality than another, but if it's size and weight discourage you from using it as much as you otherwise would, is it still the best option? It's easy to be impressed by a camera that packs in many megapixels or super-fast burst rates, but what you end up using and relying on will typically be different to the headline specs. Most cameras are capable of capturing images with a resolution that exceeds most peoples' needs, for example, so it's worth focusing beyond this to the smaller details. So, it may be that you pay less attention to whether a camera has the very latest metering sensor, and whether its shutter is rated to 150K or 200K actuations, and more to things like how long its battery will last, or whether you can perform focus peaking. Let's take sports photography as an example. Here, it's the capability of the camera's autofocus system that probably deserves most attention. A densely packed focusing array with many cross-type points on a DSLR, or alternatively, a mirrorless camera with many phase-detect AF pixels, is the kind of thing that would suit your needs here. Fast burst rates are desirable but it's also worth investigating whether the camera can maintain good autofocus performance here when set to continuous shooting, and whether the burst depth – the extent to which it can carry on capturing images at this speed without slowing down – is high enough. Many cameras have burst rates that sound impressive, but their shallow burst depths make them impractical when used at optimum capture settings. Alternatively, if capturing images discreetly is key to your photography, a mirrorless camera that has an electronic shutter setting is preferable to DSLRs. DSLRs are starting to make inroads here with genuinely silent, or just very, very quiet shutter options, but this is far easier with mirrorless. If you're new to photography and are deciding on lenses, you're likely to be confused. Which version of the lens should you get? Do you need a wide maximum aperture? What about image stabilisation? The answers to these and other key buying questions really warrant a separate article at the very least, but you can make a start by thinking about the camera on which you're likely to use the lens. Any camera that doesn't have a full-frame sensor will apply a crop factor, which makes it appear as though you're actually using a slightly longer lens. Find out what this is (usually 1.5x or 1.6x) and make sure to multiply it by the focal length of your lens to understand the effective focal length of the combination. As an example, a Nikon D5300 DSLR used with an 18-55mm lens will provide you with an effective focal range of around 27-82mm, as the sensor applies a 1.5x crop factor. Perhaps that range works for you, perhaps it doesn't; it depends on what it is you want to photograph. If your camera has a very populated sensor (30MP+), it's likely to require better lenses to get the most out of it. Such sensors can not only make optical issues more noticeable when you view images at 100%, but they may also not seem as sharp against such sensors as you'll be scrutinising images to a greater degree. Even high-quality lenses may seem soft at wider apertures on such bodies, despite appearing fine on others. High-megapixel cameras make image stabilisation (discussed below) and very good technique necessary. Of course, image sharpness depends on many factors, but it pays to use a high-quality lens if you're to appreciate the full benefits of a camera with a high number of megapixels. Wide-aperture lenses can be expensive but they give you more flexibility in low light, and it's easier to get shallow depth-of-field in your images with them too. If shallow depth of field isn't terribly important to you, however, you may be able to get away with a lens that has an effective image stabilisation system to help keep images sharp in poorer lighting conditions. As these systems allow you to use relatively slow shutter speeds, they're less suitable if you're planning on capturing moving subjects in these conditions – but they're very useful if you're not. Do you need a lens with image stabilisation? It's certainly useful, but perhaps you don't. Your particularly type of photography may not require it, for example, and your camera may already offer this. Some cameras that do have this built into them can work with lenses that also have image stabilisation, but you may find camera-based image stabilisation to be sufficient with an unstabilised lens. Likewise, if you're using a camera with very good control over image noise, you may feel comfortable using a slightly higher ISO settings rather than opting for a pricey, heavy lens with a wide aperture. While it's often preferable to use a wide-aperture lens (or a flash or tripod) over increasing the camera's ISO, cameras are becoming better at suppressing this, and you may be able to remove the worst of this quite quickly from Raw files in post production. It pays to think about practicality when buying a camera. 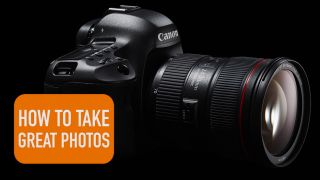 You're more likely to end up using a camera if you want to take it around with you. When choosing a new camera, don't start by looking at what's available. Instead, make a list of your needs and go from there. It's easy to get distracted with a well-rounded spec sheet, but it pays to think about what features and attributes will actually make a difference to your photography. Look beyond the headline features to the boring ones, as the latter may ultimately be more important.